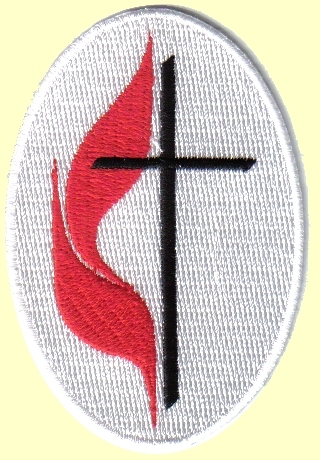 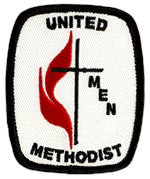 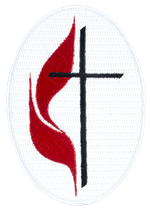 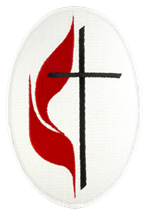 Beautifully embroidered oval shaped applique with the United Methodist Cross and Flame logo. 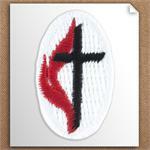 100% embroidery coverage on this self-stick applique. 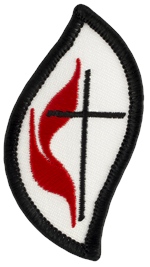 Pre-gummed with adhesive that is temporary on fabric and near-permanent on plastic, leather, cardboard, and paper. Can be sewn on items to apply permanently.